Heart palpitations are a SENSATION in your chest. Usually that sensation feels like the heart is beating rapidly and may or may not occur with chest pain, shortness of breath or any other sensations. Sometimes, it is JUST a sensation of the heart beating fast with no other problems. It can be continuous or come and go, but it is almost always frightening. The sensation MIGHT be, but is not ALWAYS caused by an abnormal heart rhythm, and some people have completely normal heart rhythms despite having the SENSATION of heart palpitations! The important thing is that if you DO suffer from heart palpitations, you absolutely must get a full cardiac workup from a cardiologist to rule out any serious or even deadly cause of heart palpitations. 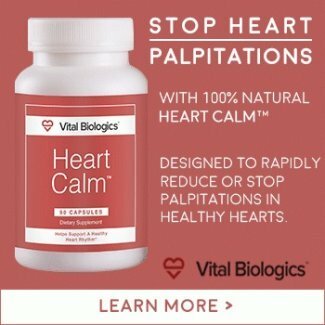 But even if you DOhave a serious heart condition, that does not tell you WHY you got the condition that caused your heart palpitations in the first place! 'Genetics' is usually the 'catchall' term for heart palpitations causes, but this is really meaningless. Even though tons of money is spent every year mapping and researching genes that cause these diseases, it has really done very little good for few people. The ironic thing is that many of the diseases that we HAVE found the 'genetic' problem, such as the case of Carnitine and Heart Failure and many, many other diseases- the 'fix' for these problems are nearly always a nutrient that medical science already knew fixed the problem long before the 'genetics' were discovered! None of which will solve the underlying problem that TRIGGERED the genetic problem in the first place- namely the lifestyle and nutritional factors that will be discussed below. The best thing that doctors actually do right when someone has heart palpitations is to tell them to stop drinking caffeine. Caffeine is probably the TOP reason that people get heart palpitations. Caffeine speeds up the heart and causes it to become more irritable. But it's not JUST the caffeine that causes problems. Many people who get heart palpitations also lace their coffee with sugar or artificial sweeteners, or drink SODAS instead. Heart palpitations are common Side Effects of Aspartame, MSG, and artificial sweeteners. 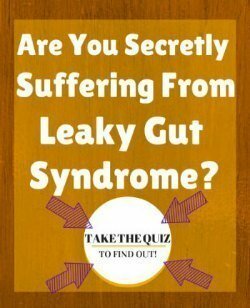 While sugar can cause problems by taking up calories where you could be getting vital nutrients such as magnesium and potassium, it is also a 'stress' on the body and causes your sympathetic nervous system to become activated- which speeds up your heart and makes your body believe that you are in danger. Yes, sugar really does that to your body. Even WORSE, however, is when people use artificial sweeteners in order to avoid using sugar. But artificial sweeteners are considered 'Excitotoxins' and these are terrible for you. Dr. Russell Blaylock, author of Excitotoxins: The Taste That Kills believes that artificial sweeteners are one of the main reasons that so many people get heart palpitations that lead to sudden death!! a major source of cardiac irritability." So, if you drink caffeine in ANY form or take sugar or artificial sweeteners in any form, then the first thing that you need to do is toSTOP immediately as this can be one of the primary causes of heart palpitations that doctors are just simply not aware of and are extremely damaging. While nutrients are recognized by the medical profession as causes of heart palpitations, their importance is usually only briefly addressed. But this is a mistake because these are likely the most overlooked and important heart palpitations- and the ones that actually address theUNDERLYING causes of heart palpitations. to check for deficiencies, but when you begin Understanding Blood Test Results, you'll see that in cases where the blood levels are normal, doctors do not look for nutrient imbalances any further – and this is a BIG mistake! This is because testing blood Magnesium Levels are virtually worthless in detecting magnesium deficiency- and many research estimates that up to 90% of magnesium deficiencies are overlooked by traditional blood testing. Yet doctors use this test exclusively to determine whether heart palpitations are a Signs of Magnesium Deficiency. In many cases, the administration of Magnesium worked just as well as heart drugs to change an abnormal rhythm back to its normal rhythm- regardless of what the magnesium blood test showed! Magnesium deficiency may also be one of the causes of heart palpitations that leads to sudden death in otherwise young and healthy athletes. Athletics can severely deplete magnesium stores, making those with the 'genetics' to have these heart problems more susceptible to them when they are magnesium deficient. Young athletes also tend to drink caffeinated and/or artificially sweetened sports drinks- this combination could be a deadly cause of heart palpitations in these young healthy people. 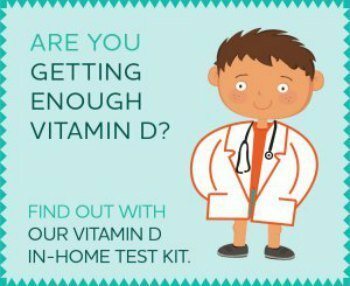 Ironically, heart palpitations can be a Side Effect of Vitamin D in those with subtle magnesium deficiency. 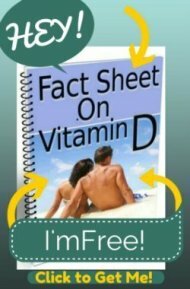 If you take vitamin D, be sure you are sufficient in magnesium to prevent problems. A Normal Potassium Level, too, has been shown to not accurately show potassium deficiencies. And an Interesting Magnesium Fact is that when potassium levels are low, giving potassium often does not correct the low potassium levels, but giving magnesium DOES! There have been MANY MANY studies that show potassium levels are Unable to be corrected unless magnesium is given at the same time. Yet magnesium and potassium levels are always taken into consideration separately, even though the research says that, in cases of deficiency, they should be treated together. How many causes of heart palpitations are due to unrecognized Magnesium Deficiency DESPITE blood levels being done, we will never know. Thiamine deficiency is almost completely unrecognized as a cause of heart palpitations, as it is almost completely unrecognized as one of the Causes of Heart Failure. While most doctors believe that thiamine deficiency is nearly impossible to get in 'First World' countries, studies that look for thiamine deficiency in heart problems will often find it! Thiamine deficiency is also one of the known causes of Prolonged QT Interval, which is one of the causes of heart palpitations that can lead to sudden death! And both magnesium administration and thiamine administration have been able to remedy a prolonged qt interval. So, thiamine deficiency may be actually more of a cause of heart palpitations than we will ever know because there is almost no one who is testing for thiamine deficiency or giving thiamine supplements to people with heart palpitations. People who already have heart failure, heart palpitations and/or any of the abnormal heart rhythms mentioned above are likely to be put on a class of drugs called 'antiarrhythmatics'. These drugs are prescribed in order to Stop these heart rhythms that may be causes of heart palpitations, yet ironically, they may be actually CONTRIBUTING to a Prolonged QT Interval that leads to sudden death!! And Side Effects of Amiodarone, one of the anti-arrhythmic drugs, tends to have this 'PRO' arrhythmic problem. Yipes! If you take any medications, not JUST heart medications, you should check on the Side Effects Site to see if any of the drugs that you are taking contribute to Prolonged QT Interval and could be one of the causes of heart palpitations. fact many people only experience palpitations when they are under stress. When you are under stress, your heart beats more quickly, making a Prolonged QT Interval more likely to be a cause of heart palpitations. Those who are under stress also use up more magnesium and B vitamins as well. So, often, when stress is the cause of heart palpitations, it is partially due to nutritional deficiencies as well. Reducing stress is SUCH a controllable cause of heart palpitations that you should HIGHLY consider using stress reduction techniques that INCLUDE taking magnesium at a dosage outlined on the Magnesium Dosage page as well as using one or more stress reduction 'techniques' that have been shown to be beneficial would be an excellent way to help eliminate one of the Causes of Heart Palpitations that you may have.